Usually, when you hear a marketing team make bold claims about the very thing they are promoting, you are in for a bit of a let down… it’s so easy, on paper, to define your movie as “The most amazing, incredible, remarkable true story ever told”. And usually, you may not find me watching such a movie, as it is also very easy to be disappointed. Luckily, I stepped into Angelika Film Center, in downtown manhattan without the slightest clue of what I was going to watch, armed with my MoviePass card and app, a free evening, and my everlasting passion for cinema. 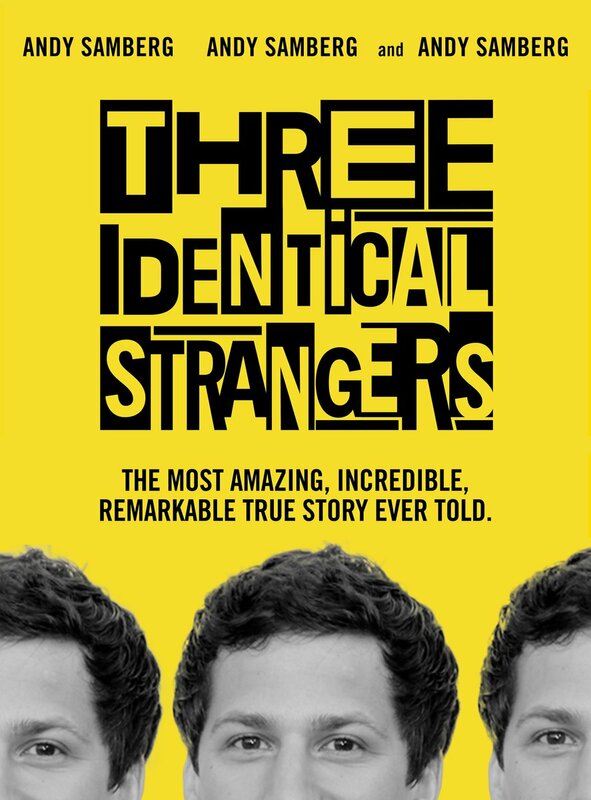 Upon reaching the ticket booth clerk, I had quickly scanned showtimes and decided to go watch “Three identical strangers” based on a convenient showtime, and it’s friendly looking poster. Boy was I in for a surprise, and boy, was this the best way to (not) “prepare” for it. So much so, that I suggest you find a way to watch the movie BEFORE reading this, or any other review, I think that is definitely the best way to enjoy it. 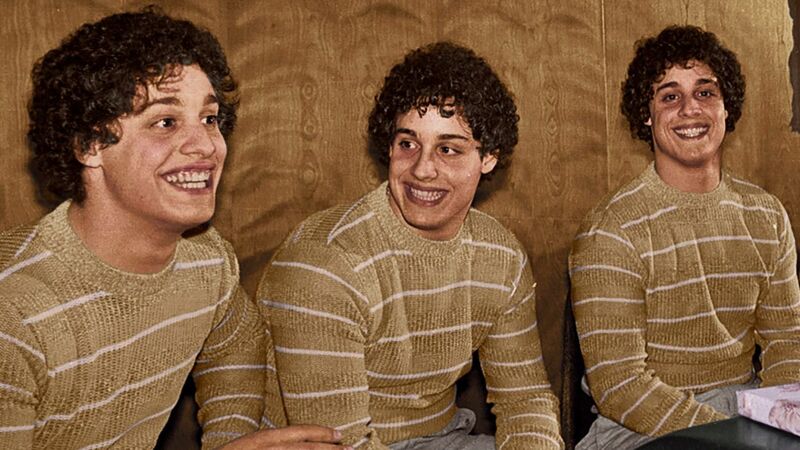 All spoiler notifications made, the film started as I “expected”, a lighthearted and goofy story about a young man going to college in upstate New York (Sullivan County Community College), and being mistakenly confused by everyone he came across as another young man who had previously attended the college and dropped out. Soon after, however, shades of darkness start taking over the story line, which becomes more and more complicated, as it is revealed that the pairs of (adoptive) parents knew nothing about the existence of an identical twin. From there on, the story moves backwards and forwards in time, ably revealing an unthinkable backstory to this incredible series of events, one that might leave you completely enthralled, enraged, entertained, in any case, not without an opinion. Without giving away too much of the plot, the adoption agency that gave the boys up for adoption turns out to be the same New York based agency, and just when things could not get more surreal, a THIRD young man comes into play, recognized by family members because the all “talk the same, laugh the same, hold their cigarettes the sam… it’s uncanny”. 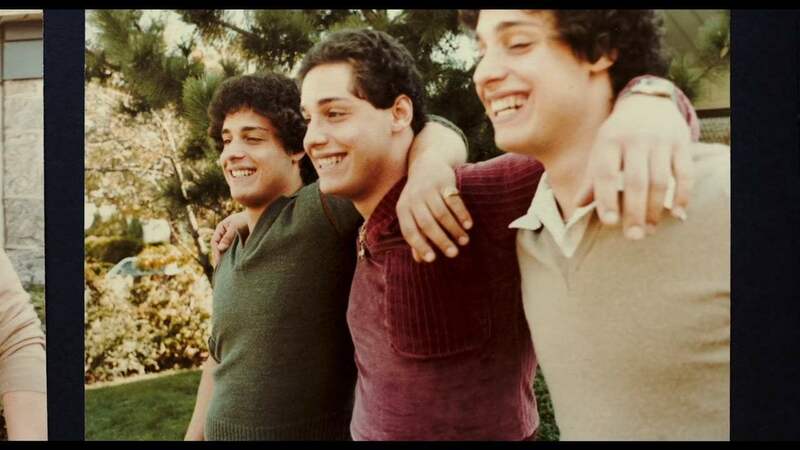 The trio becomes a media darling and sensation, and as is often the case with mass media, where there is interest, their is also commercial interest, making it convenient to close a blind eye towards otherwise alarming details. Tim Wardle tells the story in an extremely smooth, captivating way, aided by cinematographer Tim Cragg, who mixes reenactments to archival footage, accompanied by Paul Saundersons’ discreet yet cohesive score, all woven together beautifully by editor Michael Harte. The piece often seems to ask more questions than it manages to answer, but with a story like the one being told, this isn’t even surprising.